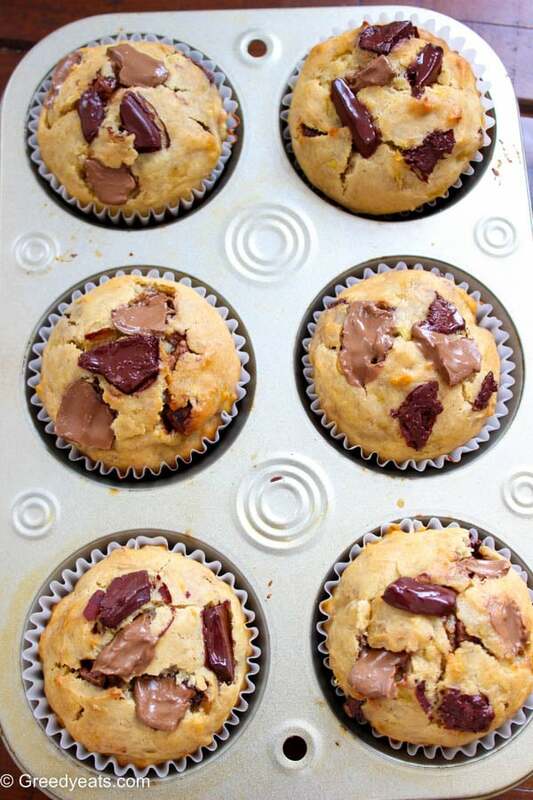 Banana muffin or bread is my favourite thing to bake 🙂 These look fabulous! 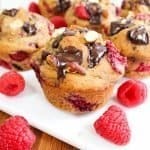 My dad loves banana and I would like to return his business trip to let him find these muffins! Thanks for the wonderful recipe! Can’t go wrong with bananas, right ? 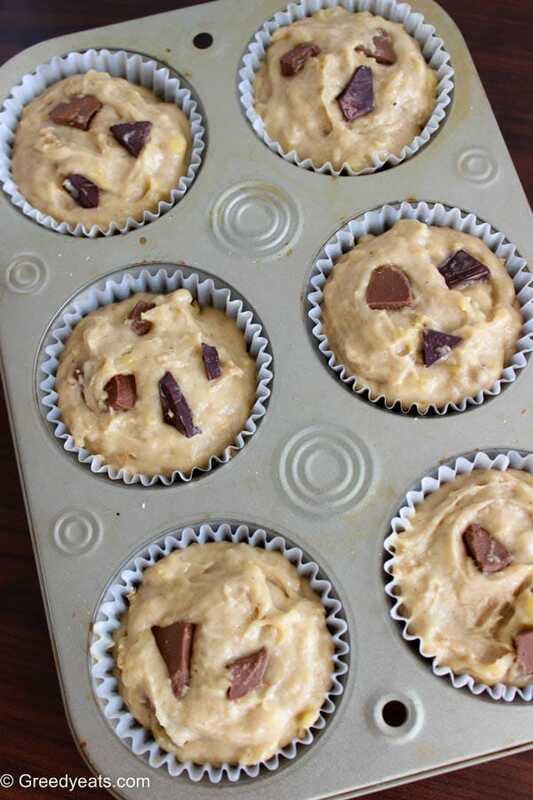 I keep meaning to make sometime with bananas but they never last long enough in my house, my kids eat them before I get to bake with them 😀 These look really good, I might have to hide some bananas in the back of the fridge. It is so great and makes me want to bake it now. Chocolate for me! Oh my goodness! 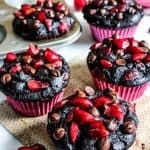 Those look too good to be healthy! LOL! What a wonderful recipe I plan to try out this next week. I already have the bananas ready to go. It’s honestly amazing how much you can use greek yogurt in different recipes. I just bought bananas so I’ll have to give this a try! I like that you’re using the greek yogurt. These sound really good to me. YES! 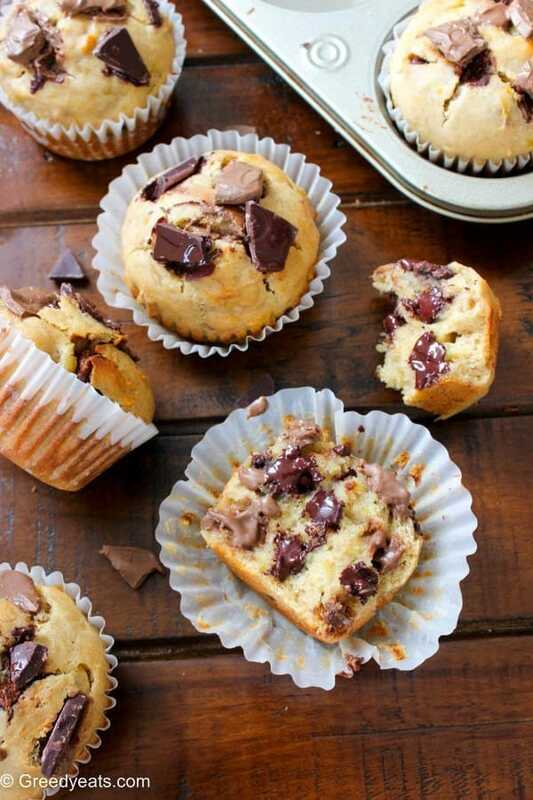 Banana muffins with chocolate chips are my FAVE! 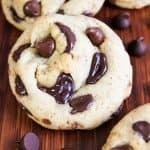 I’m definitely making these. I love banana muffin. 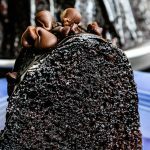 And your recipe that has chocolate shavings…oh my! Got to make this! Girl, you are speaking my language. 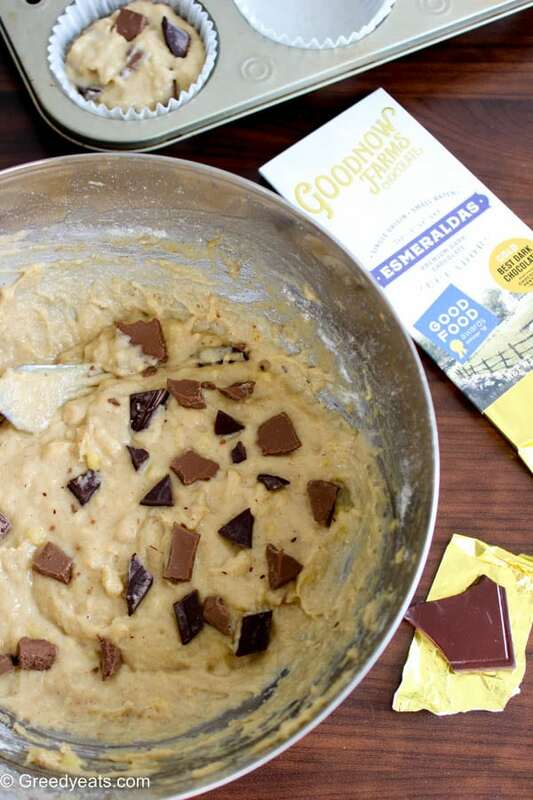 I love love love banana bread, especially if it has chocolate chips in it. This looks like a scrumptious recipe, that I will have to give it a try. 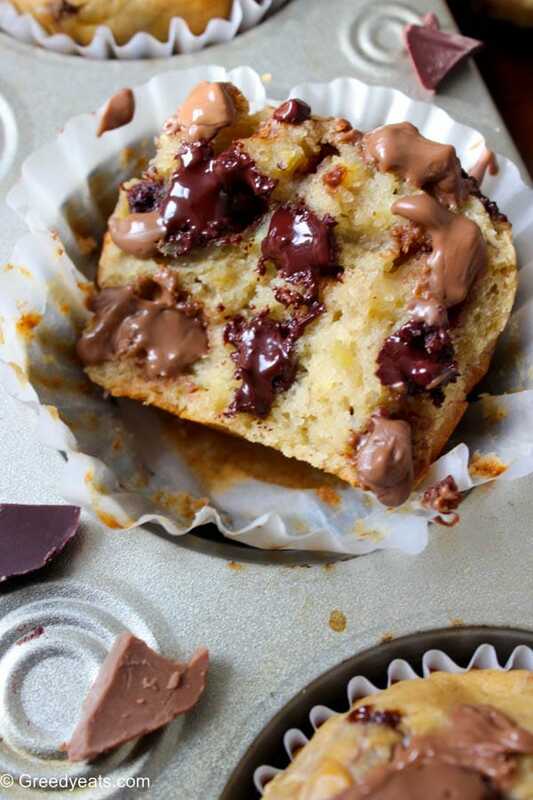 Chocolate – yum! 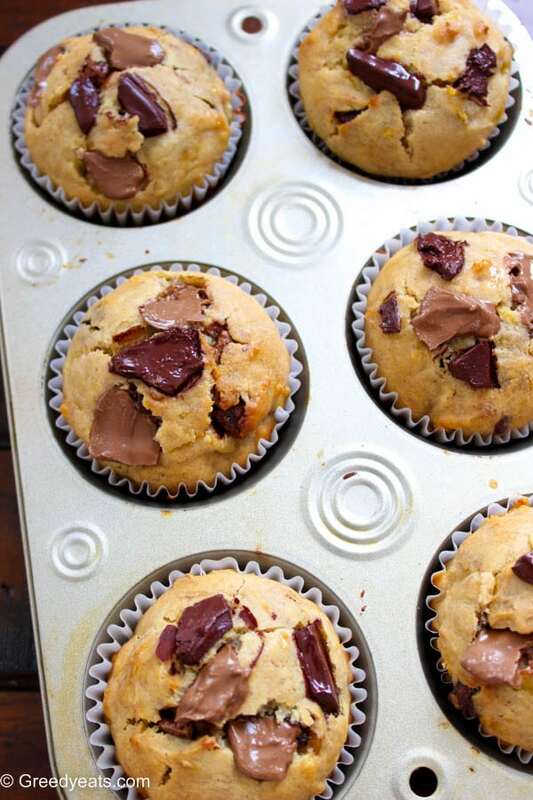 Banana Muffin – yum! 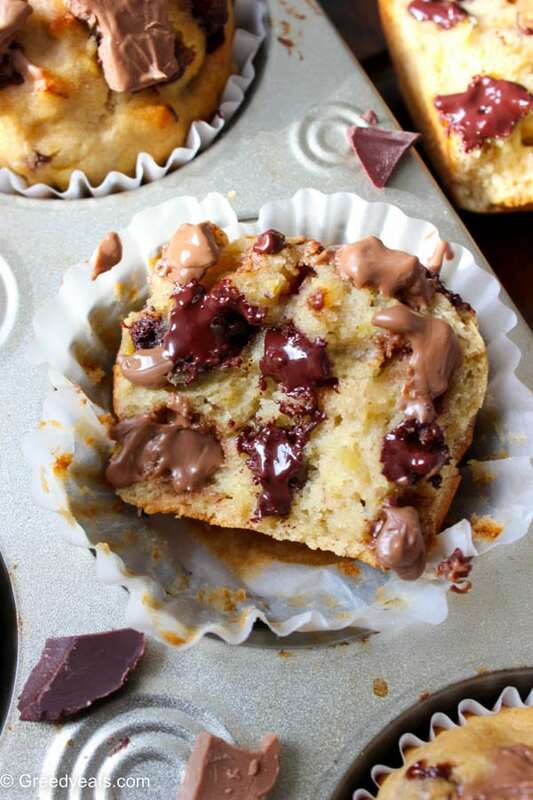 Banana and Choc Muffin – SUPER yum! Thanks for the recipe and inspiration! next time I’ll have to add the chocolate, yours look so tasty! yum! I am definitely salivating right now. 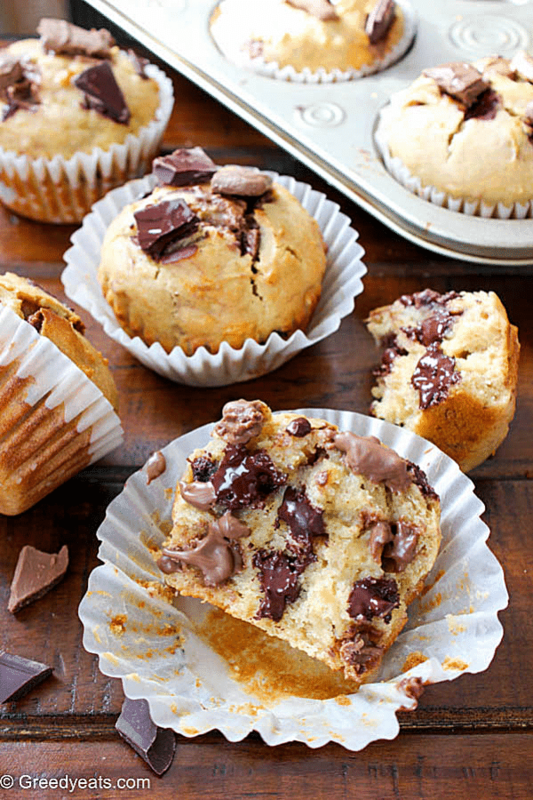 I love Banana muffin, banana cake and anything with banana. Looks like I will be baking again this weekend! 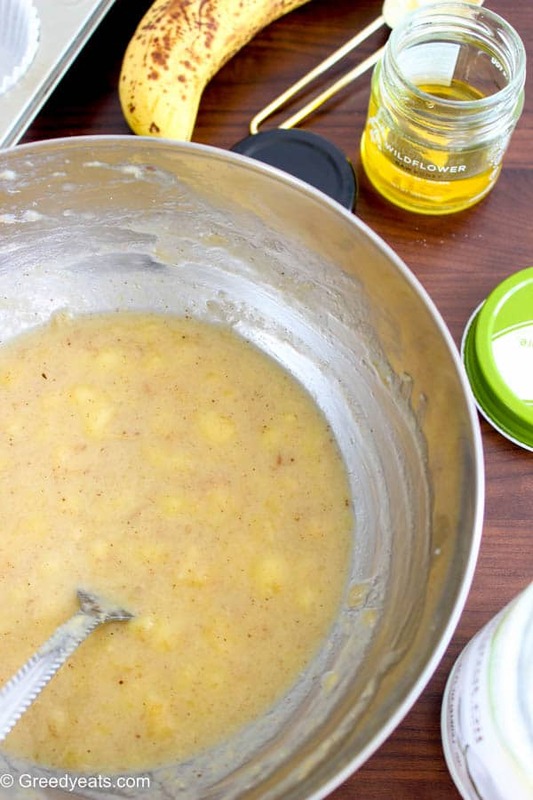 I will give you not 5 but 6 stars for this amazing recipe. Pinned! I feel hungry now. 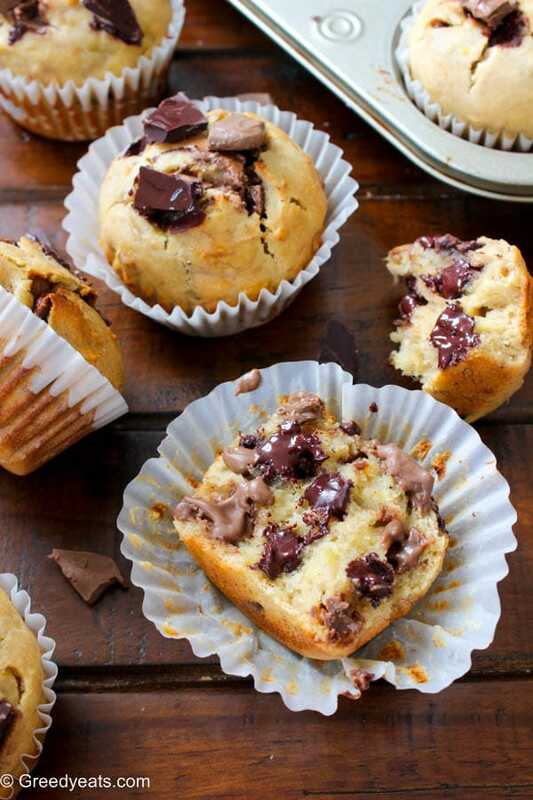 I love muffins very much. But I haven’t made one. I will try this for sure. This looks absolutely incredible. 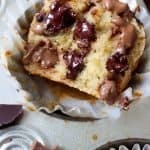 Such a yummy breakfast recipe my family would definitely be excited to try.